Opinion polls suggest that Alfredo Pérez Rubalcaba has a mountain to climb if he wants to ensure a third successive win for the PSOE at the general election in November. He will hardly be encouraged, therefore, to hear that yet another of his ministerial colleagues has decided to abandon their political career and pursue other interests. Both Elena Salgado, Economy Minister, and Miguel Sebastián, Minister of Industry, Trade and Tourism announced they would be retiring from front-line politics at the general election. Then, Minister of Science and Innovation Cristina Garmendia announced last week that she plans to renter the private sector at the end of this legislative period. 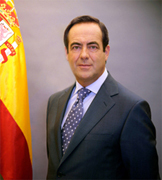 And now Minister of Education, Ángel Gabilondo, has revealed that, contrary to rumours, he has declined Rubalcaba’s invitation to join the lists and contest a parliamentary seat inValencia. The decisions of these ministers not to contest the next election is hardly a ringing endorsement or a vote of confidence for Rubalcaba. Rather it belies a tired and outdated party, and shows how little the Socialists themselves – even those at the helm – believe in victory.